Your oil painting is protected on the corners with cardboard, shrink film wrapped, and packed in a carton box to ensure its safety during shipping. We stand behind our oil painting by offering you a 100% money back guarantee if you're not completely satisfied. If you for any reason are not pleased with any product by V-inspire, please do not hesitate to contact us first and we will do our best to solve your problem ASAP! Oil Paintings Size: 32x48Inch (80x120CM). 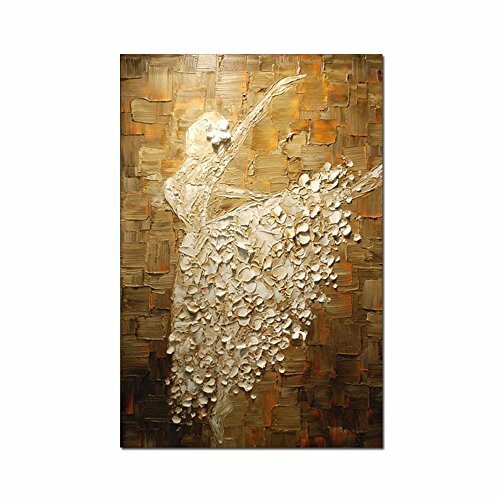 Palette knife paintings ,100% hand painted.